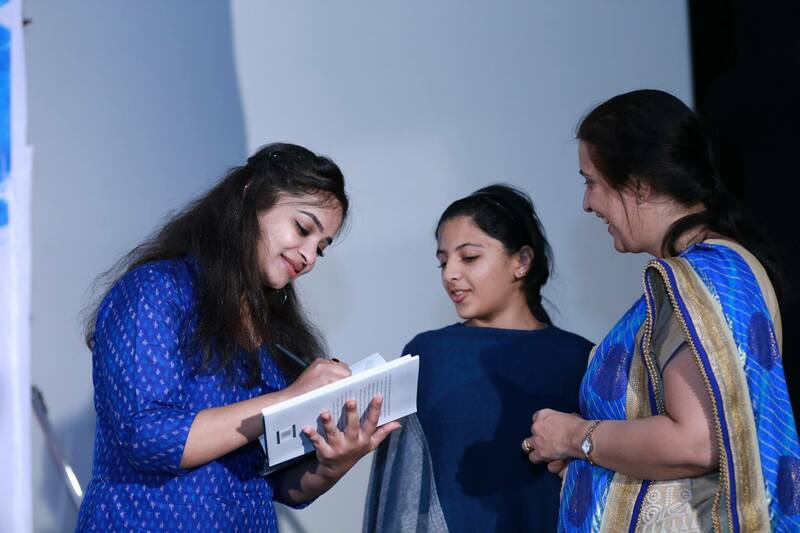 How often do you see a young, talented writer take up an issue which resonates with the political situation present and apparent in our society? How often more do you see a particular brave the critics and naysayers to pick up a subject, or even better, pick up the story of a man, who has been celebrated by most as India’s foremost visionary Chief Minister. A man who had not only changed the very definition of world investment, by making our city, Hyderabad, the hub of Information and Technology globally, but also reformed the manner in which we undertake the procedures of Direct Foreign Investments in India. From being an embodiment of progress for India to becoming the first Chief Minister of bifurcated Andhra Pradesh, Chandrababu Naidu, has perhaps seen all the upheavals and tribulations, a definitive Political journey has to offer. While dealing with such a comprehensive and glorious career, the writer we are talking today has done a splendid job of capturing the essence of the man behind the fate of Telugu States, at different points in his career. 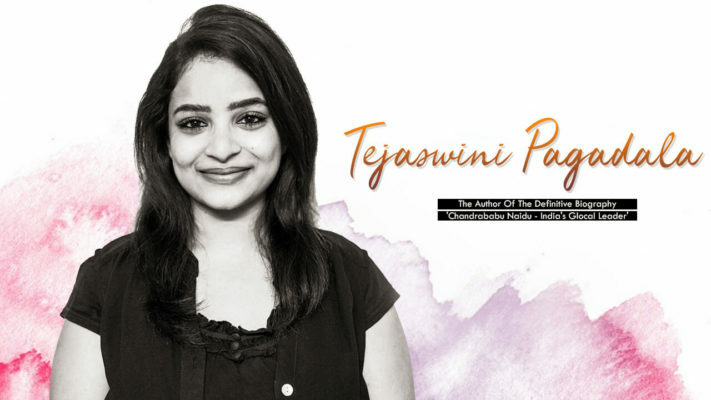 The writer, Tejaswini Pagadala, a mere 27-year-old, talks to us about her book “Chandrababu Naidu – India’s Glocal Leader” and the thought process behind bringing perhaps the first precise biography of the illustrious leader. 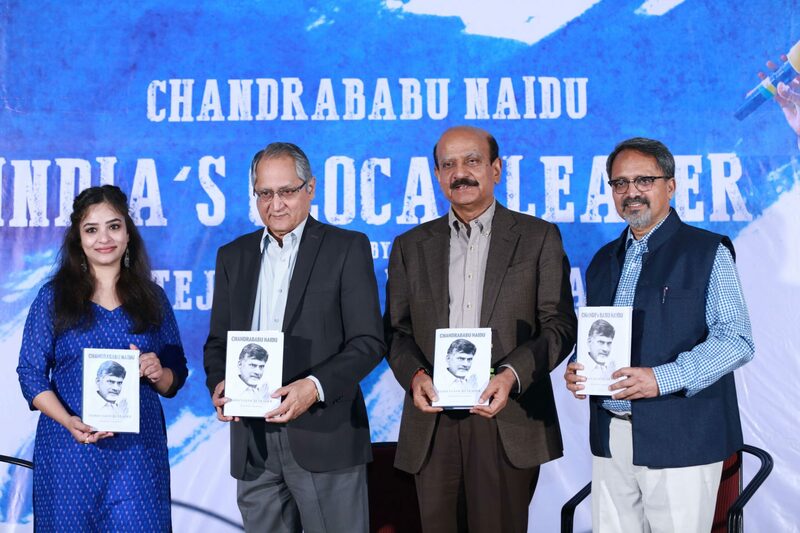 In a countrywide turmoil of socio-political scenario, here we have a biography of the life and career of one of the most illustrious Chief Ministers of India, Mr Chandrababu Naidu, by a 27-year-old journalist. Now, when we look at that context, would you say your book “India’s Glocal Leader” truly encultures and reflects the current set of ideologies? As a writer, what are the measures you’ve perhaps taken to make the book apparent and relevant to the current Indian reader, and why would you say it is important? “India’s Glocal Leader” captures the life story of a successful and a proven leader of modern India who is perhaps under-represented in our country where North India’s politics dominates the nation. The book is an attempt to represent how several ideas and thoughts have been experimented with, and implemented in a Democracy like ours. While most of us in India are brought up with mindsets that despise risk-taking, a leader like Chandrababu Naidu, who comes from a remote village of Andhra Pradesh, proved that we need to take risks to prosper as a country. And, that is the biggest lesson any person can learn from this book. As a country, it is very important that we have leaders like him who have a progressive mindset and are often seen as disruptors – those who change the status quo and lead the country or a state with a vision. He led the way for India to believe in the power of Information Technology when the country wasn’t ready for it. In the process of implementing his vision, he not only balances politics with governance but also ensures he convinces people about his ideas. I believe his biography will offer leadership lessons for those in the future and also cement his place in Indian history as one whose role has been crucial in shaping India, post-economic reforms. Many a time, we see biographies, political biographies more specifically timed towards a democratic event? How well would you say, you’ve avoided the ‘labelling’ of political observers who would say that the Biography on Mr Naidu, to come out with just a year to go with Lok Sabha general elections, is perhaps convenient? 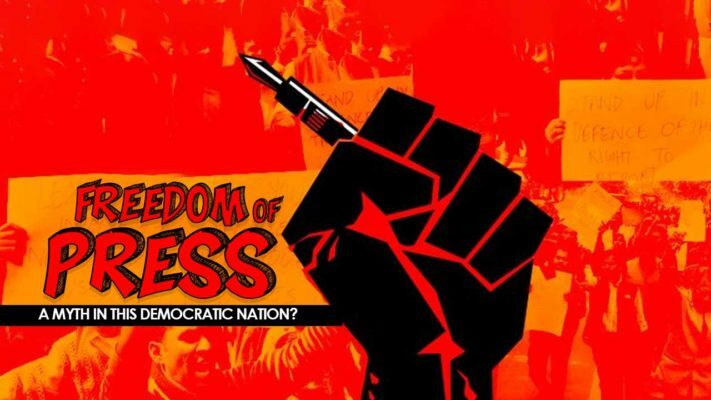 Often times, political literature is ‘branded’ towards propaganda? As a neutral writer, what measures have you employed in making the book devoid of such assumptions? I had worked as the Communications Officer at the Office of Advisor (Communications), Govt of AP, from 2014 to 2015-end. That was the time when I closely observed the Chief Minister and how he was being misrepresented in the media due to their respective biases. There is also a huge paid propaganda against him. Given that the work at the Chief Minister’s Office is hectic, I could not start the book while being there. Therefore, in early 2016, I had decided to write this book since there was no biography of Mr Naidu. While the research, touring his hometown, constituency and college, interviewing my sources and writing took me around 21 months, another three-four months went into getting the book published by Bloomsbury India. Since this happens to be my first book, I spent a lot of time in fact-checking and proofreading in order to be as factually correct as possible. 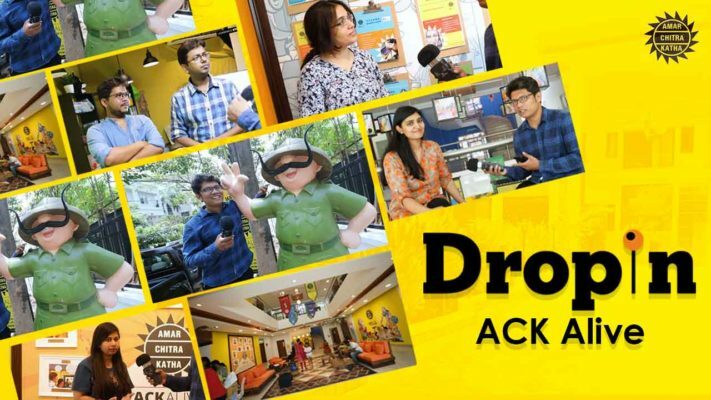 Since this is an independent project that I took up and I honestly didn’t know the time it would consume, there wasn’t any strategy about the release coinciding with the Lok Sabha elections. The biography includes all the ups and downs as well as his political missteps in life. 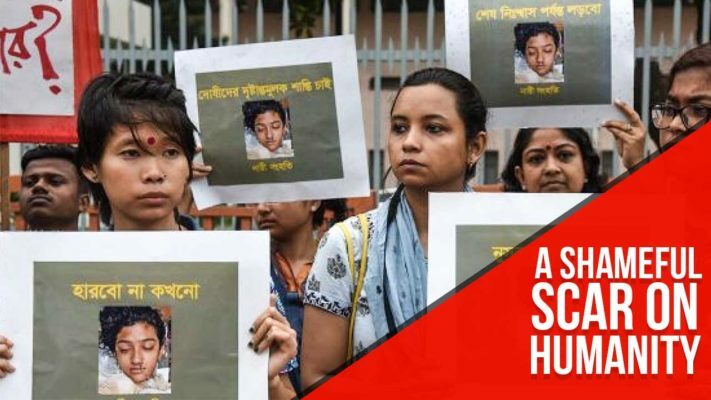 While describing such incidents, I have been extremely careful in presenting my view objectively as a writer and explaining the situation in detail, rather than blindly supporting his stand. For instance: The incident dethroning NTR was clearly explained, highlighting what drove him to take such a decision, what were the options at hand, what were the compulsions he was facing from the family and the party and why he had to make such a decision, aware of the risks he had to face. 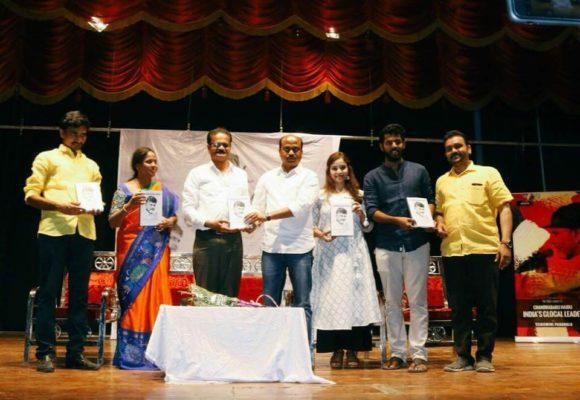 As we started to go through the articles which have already covered the Book’s launch, across various media platforms, we could see a commonality in them, that perhaps the biography was a random decision, one originating without prior commitment. Would we be true to assume that, your passion towards political writing found the perfect muse under the circumstances? Or would you perhaps say that the story of Mr Naidu has been of your interest all along the way? 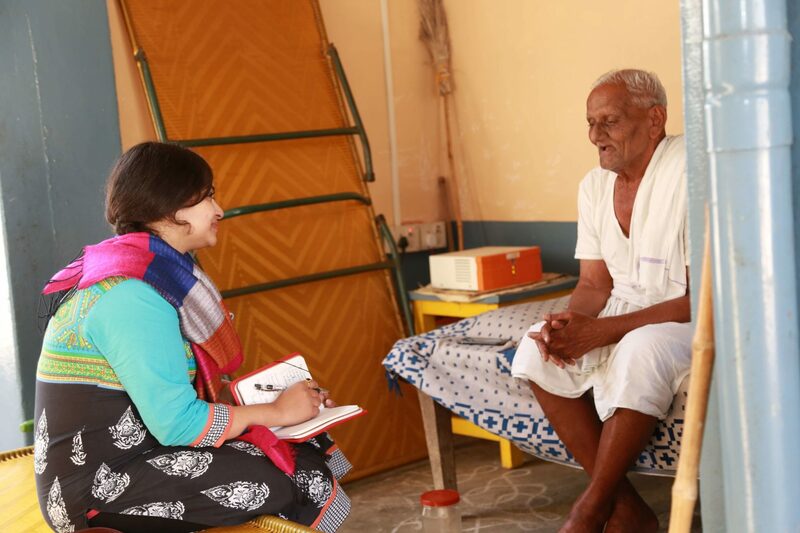 The decision to write the biography emerged from the fact that I got to observe Mr Naidu from close quarters and simultaneously, there was a dearth of a legitimate account of his life since his birth. Given that he is too important a Telugu leader to be ignored, I strongly felt that his story needed to be told, not only to the present generations but also to the future generations. If one looks at the history of great leaders and their work, it is the hard work and the efforts they put in making something a reality, that is often recalled/remembered. Hence, this book exactly aims to do that. If one closely observes, I track his journey through the formation and division of Andhra Pradesh – His journey from being born in Chittoor district under the Madras Presidency to the time he went on to becoming the Chief Minister of United Andhra Pradesh and the residual AP. If you had to surmise the essence of ‘India’s Glocal Leader’ in say two lines, what would it be? 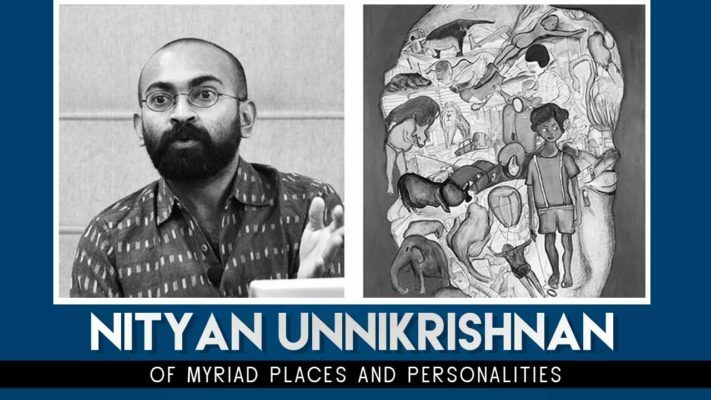 In journeying through the life of Mr Naidu in this book, one aspect that we’d like to discuss is how have you dealt with the communal aspects of Mr Naidu’s career? One stands to wonder as to how deeply impactful and influential, the aspects of belonging to a particular clan, or dialect or belief, can be, on an embodiment of political acumen that Mr Naidu is? “The story of Andhra Pradesh and modern India is incomplete without Chandrababu Naidu” – this defines my book “India’s Glocal Leader”. I’d rather call them socio-political aspects. To anyone who knows Mr Naidu in person or has seen him closely, they will vouch for the fact that he denounces casteism. 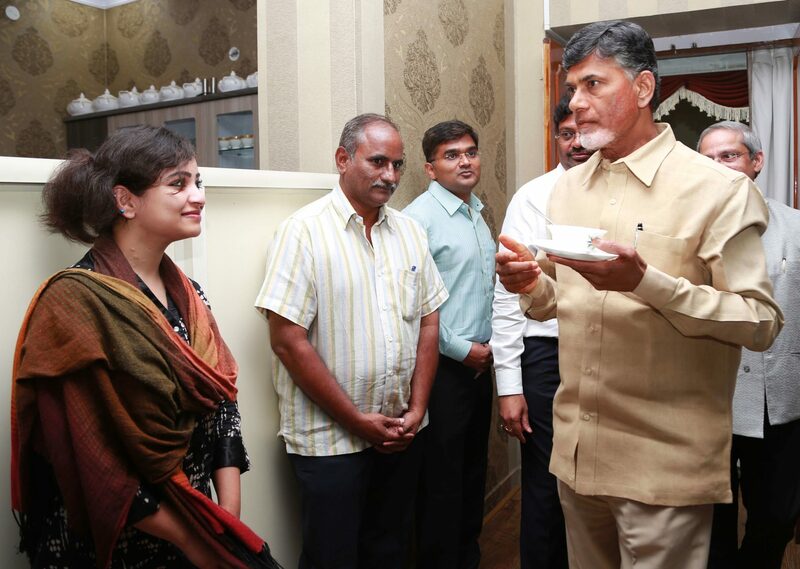 The best example for this is the kind of people he works within his government – there are people from various countries across the world working with Andhra Pradesh government. Of course, one should first understand that he is a politician and he needs to win the people’s mandate. But, he is also the person who does not favour a particular community or caste or a sect. His decisions are not influenced by social aspects such as caste or religious beliefs. One of the reasons why he has become a successful leader in India is also his open-mindedness in accepting various cultures, ethnicities, religions and set of beliefs/traditions. You, ma’am, are young. At the age of 27, you’ve told the story of one of the greatest politicians of the country, Mr Chandrababu Naidu. To some, this would come across as highly ambitious, and for others, it might seem incredibly revolutionary. Behind all these presumptions, we are interested to know what were your feelings when you decided to write about Mr Naidu? Honestly, people thought I was crazy. A lot of them in my close circles thought that I’m trying to do something that I’ll fail at. Some people told me I’m making political enemies at a very young age which wasn’t required. Except for my family and close friends, none of them believed I would publish the book. 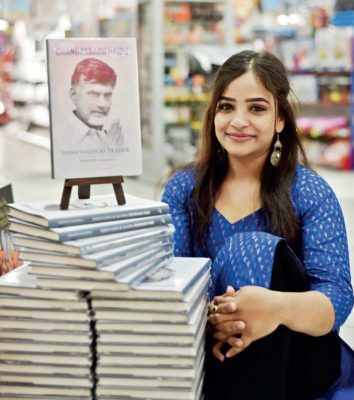 My biggest fear while writing this book was that it shouldn’t do any harm to Mr Naidu’s reputation because the intention was to tell his story to the world. I went through a difficult time in my personal life while writing this book. Financially too, I wasn’t doing great because I gave up my full-time job to write the book. So, my confidence levels were at the lowest. The process of writing this book was a process of self-discovery for me – it required a lot of patience, effort, time and mental stability, apart from the risks of writing on a Chief Minister in power. Given that I always tried new things in career, this was something my parents supported me with, knowing the risks. That was my biggest strength. However, my belief in the book and my work was a constant. I think this book was worth the risk I took and because of that, I also happen to be our country’s youngest political biographer. Coming to your personal story, as Tejaswini Pagadala. Beyond the book, what’s the biography of Tejaswini then? We read that you’ve associated with multiple news/media houses, in your internship and professional work. We’ve come to understand that your natural inclination remains towards writing about political scenarios and conditions. In an age where most of the writers we come across are inclined towards life, ambitions, corporate upheavals, it is so refreshing to find someone who is deeply passionate towards political happenings. What is the story behind that? As a child, I was always interested in current affairs. My father observed this trait in me and somehow, inculcated newspaper reading and GK into my daily schedule. At the dinner table, my parents would put random questions to me about political heads in our state, country, etc. This way, they encouraged me to write articles during summer holidays. I used to maintain a notebook and write my thoughts on a subject in 250-300 words during my 10th standard. That became a habit after a while. This got converted into a blog and I began writing on my blog. However, my interest further increased when I studied B.A Mass Communication and got interested in print journalism. I decided I want to work at a newspaper and that laid the foundation for my interest in writing and politics. I have observed that youngsters are not interested in politics or current affairs. My experience in media and exposure also gave me an insight into how governments work internally. I’ve learnt a great many lessons about life from media, politics and my personal experiences. This book, is, therefore, a testimony for all the youngsters who aim to venture into political writing and analysis. In the future, I will write more books. But, for now, I want this book to reach as many people as possible. We’d love to hear your thoughts on why the socio-political genre in India, is often considered volatile by most writers? What measures did you employ to ensure that the book itself doesn’t become a reason for controversies? Also, why do you think many new age writers are shying away from writing about Politics per se? What would your advice to them be? Also, the question we couldn’t find an answer for in the research – What is your next book about, if you’ve decided on something? 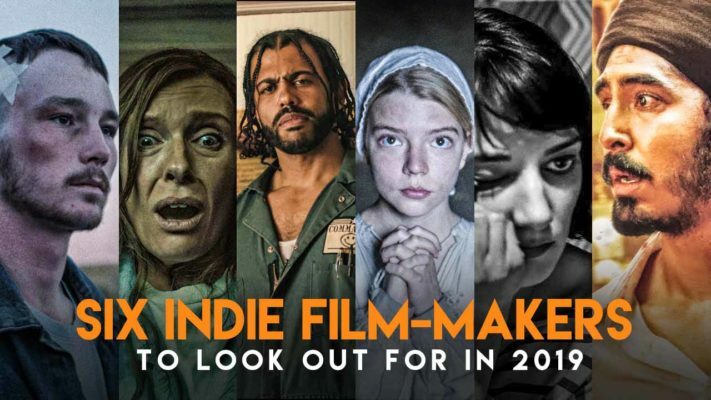 How does the next five to six years look for you? Most journalists, given the nature of their job, do not want to openly endorse a particular ideology or a political party. However, the socio-political genre is mostly shrouded in speculative news and reports. Therefore, there’s a high chance of anything being controversial. As a communications officer, part of my job was to predict controversies and avoid them. So, while writing, it was easier for me to think about the possible controversies and hence, I made sure I avoided them. For new age writers, politics is not as glamorous as say, fashion or cinema. It requires a lot of research, effort, understanding of human behaviour and psychology apart from a personal interest in the history of a particular issue/subject. The foremost quality in any writer is “to read”. The more you read, the more you understand perspectives and analysis. Reading various perspectives on a particular issue increases subject knowledge and also helps you understand it better. Currently, new-age writers have many platforms such as Quora, Medium and various news/political websites which they can contribute to. Or, they could have their own blog and begin writing. In the next five years, I might write another book. But, I do have other career plans in the immediate future. On a lighter note, where do you draw your inspirations from? Being a writer yourself, which novels/books have been inspirational to you in your work? Any particular writers that you follow? And in your leisure, how do you enhance your knowledge of writing skills and overall literature? And lastly, what remains as your core political ideology? I’m an avid non-fiction reader. I read very less of fiction. I have read several biographies and the one that strikes me the most is “The Nehrus” by B.R. Nanda. In my leisure, I read or finish an online course of my interest on Coursera or edX. I read books in genres such as history, politics/political ideologies/geo-politics and socio-economics, gender, human rights, communications, casteism, etc. Since college, I have tried various styles of writing – From news writing to content writing, speeches and research reports, long-form articles, features, etc. Of late, I’ve been studying a lot about political campaigns, strategy and how campaign language influences people. I do not subscribe to any particular political ideology, given that it would influence my writing. So, folks, that was Tejaswini Pagadala, talking about her debut novel “India’s Glocal Leader“. Get your copies now online on Amazon, or in leading bookstores right away. We hope this super talented writer brings out more interesting stories in time to come and becomes a beacon for every young writer who is willing to foray into oft-ignored fields of socially relevant topics.